You have a website. Today, everyone has a website. So, now what? Does your website blow your competitors’ websites out of the water? Almost every patient journey begins with or includes a Google search. Hopefully, your PPC (Paid Per Click) and SEO game is on point and driving prospects to your website. But how many prospects is your website driving through your front door? And, is it good enough that it would motivate someone to drive 10 extra miles to your practice over another? 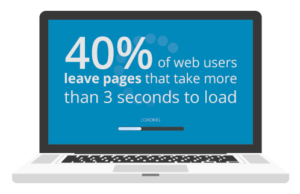 According to Google Analytics, 40 percent of web users leave pages that take more than three seconds to load. Meanwhile, another study has shown that even a five-second delay in page response can increase your bounce rate by more than 20 percent. Find out just how fast or slow your site is with Google’s free PageSpeed tools. Since image file size is one of the biggest culprits of lagging web pages, make sure the images on your site are compressed. There are several free applications you can use to compress your own images. Design is the main reason people don’t trust certain websites or the businesses behind them. For example, low-quality images or design inconsistencies between pages can be giant red flags to a visitor. That’s why everything from your spacing, fonts, and heading sizes to your colors, button styles, and design elements need to be consistent, cohesive, and clean. A consistent header and footer on every page that includes your logo, practice information, and social icons is equally important. And while we’re on the topic, have you ever thought about how your website’s colors might impact the user experience? With mobile searches finally surpassing desktop searches last year, Google recently announced that it is now indexing websites based on their mobile version instead of their desktop version. In other words, the content, links, speed, etc. of your mobile site are now the key drivers of your search engine visibility. Before you panic, know that Google has a number of tools to test how mobile-friendly your site really is and Search Console has a mobile usability report that outlines problems on a page-by-page level. One must-have feature of your mobile site: Click-To-Call. Why? 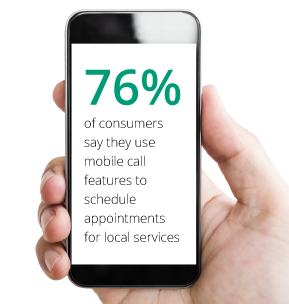 Because 76% of consumers say they use mobile call features to schedule appointments for local services. For search purposes, Google recommends having a minimum of 250-300 words per page. But your content should go above and beyond providing basic information about your practice—it should engage and educate visitors. Hearing health tips, hearing loss facts, a “Frequently Asked Questions” section, a list of the devices you offer with details about the different styles, and a blog (that’s regularly updated!) are all great examples of rich content. Creating content with legitimate value not only helps to present your practice as the local expert, but it inevitably supports your SEO efforts. Step one: trim the excess fat. Did you know that white space around text and titles can increase user attention by 20 percent? Create that extra room by keeping your paragraphs as concise as possible. Step two: make sections of text easier to scan by adding headings and subheadings, choosing clear fonts, and breaking down key points, features, or services into bulleted lists. You can get more creative with your layout by replacing traditional bullet points with icons or using lines, borders, or different shading to visually isolate related content. We all know a stock photo when we see one. Although stock images aren’t inherently bad, they are inherently generic and impersonal, which can reduce trust. If your website relies heavily on stock imagery, it’s okay, many websites do. However, consider replacing a few stock images with actual photos of your practice and staff. We promise that prospects will want to see you and your staff members’ smiling faces. Any stock images that you do use, should complement the content, not distract from it. Your website should provide a customer journey that is clearly mapped out and fluid from page to page. Visitors should always see a next step or action to take as they browse. That’s why every page should feature a distinct call to action (CTA), accompanied by a phone number, contact form, and/or button. A strong CTA is 2-5 words that urge visitors to take an immediate action, whether it’s “Click Here” for more information or “Call Today” to schedule an appointment. Current and potential patients alike need to be able to contact your practice when it’s most convenient for them. Contact form submissions are also a great lead generation tool. Any visitor that completes a form on your site is a prospect and should be contacted as quickly as possible. Some website forms can automatically send a thank you email to your new prospect and let them know the timeframe in which they can expect to receive a follow-up phone call. Now, this prospect can be added to your practice management system and to future marketing initiatives. 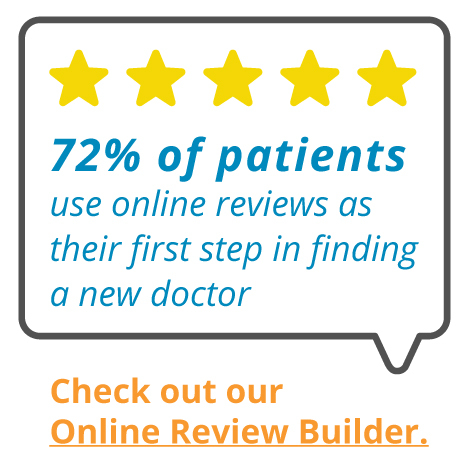 A 2018 survey found that 72 percent of patients used online reviews as their first step in finding a new doctor and 88 percent trust online reviews as much as a personal recommendation. Boost your digital presence and reputation by including links to review sites, a dedicated testimonial page, or even better, using our Online Review Builder which gathers your positive online reviews in real-time and displays them on your website for you. You didn’t think we’d write an entire blog post about websites without mentioning SEO, did you? Simply put, ranking in the top positions on search engine result pages means significantly more traffic to your website, and then through your front door. Similar to PPC, SEO is an efficient marketing strategy because it targets online users who are actively seeking out your services. While digital marketing trends come and go and change constantly, a solid website that entices potential patients, engages current patients, and reinforces your brand will never go out of style. Think it’s time to give your website a makeover or even a complete overhaul? Consult YHN’s Marketing team provides website assessments to members. Contact your Account Manager or email: Marketing@ConsultYHN.com today! 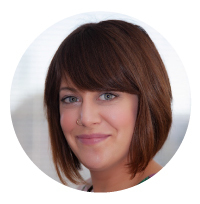 Nicole Finkbiner joined Consult YHN as the Marketing Communications Specialist in 2018 with nearly a decade of communications experience. Over the course of her career, Nicole has created a wide array of different content for various mediums and outlets—news articles, press releases, arts features, product descriptions, small business websites, e-blasts, social media posts, promotional materials, and more. In her free time, the Philadelphia native enjoys soaking up the city’s culture and binge-watching TV shows. Today’s marketing landscape requires a multi-media approach and digital marketing is an ever-growing part of a strong marketing strategy. The Pew Research Center has found that now, more than ever, when people see a direct mail piece or newspaper ad, they are more likely to search for you online to evaluate if your practice seems credible. A strong, hard-working website answers a few basic questions: “Who are you?” and “What do you do?” The best websites not only provide the most basic practice information clearly-office hours, phone number, and address-but also educate potential patients as to why they need to visit your practice over your competitors. Content Rich Website: A content rich website is imperative as we head into 2017. Having information like hearing health, device styles, manufacturers, and a blog, which is regularly updated ensures that visitors see your practice as the local expert. A “Frequently Asked Questions” section is also great information to include on your site and easy to develop; the questions your patients regularly call your practice to get answer for is where to start! Mobile Responsive: Making sure your website is mobile-friendly is nearly required. Google has said mobile-friendliness now plays a role in their organic search rankings and sites get a ranking boost when they are indeed mobile-friendly. With more than 50% of the baby boomer generation access the internet through their tablet or smart phone, it only hurts a practice to automatically lose such a large chunk of online traffic. Calls to Action: Your site should have several distinct calls to action. Guiding visitors around your site through clearly labeled pages, making sure they can find your contact information (phone number, address and contact form), and something as simple as stating “Schedule Your Appointment” are all key elements to engaging a visitor enough to have them reach out to your practice and not your competition. Reviews: In our digital world, word of mouth and great reviews can go much farther than any direct mail piece can when trying to make a prospect a new patient. Whether you include this feedback on your site through simple links to review sites, a dedicated testimonial page, or you utilize the Consult YHN Online Review Program, great reviews are worth their weight. Here is another blog post that talks about the importance of capturing online reviews Online reviews: WOM meets digital age. Social Media Links: Social media should function as an extension of your site and promote your brand. Including upcoming practice events on your social media, which is then linked back to an events page, helps to engage visitors of both pages. While digital design trends will always evolve, having a website that entices prospects, engages current patients, and reinforces your practice’s brand, will ensure you’re the local expert. 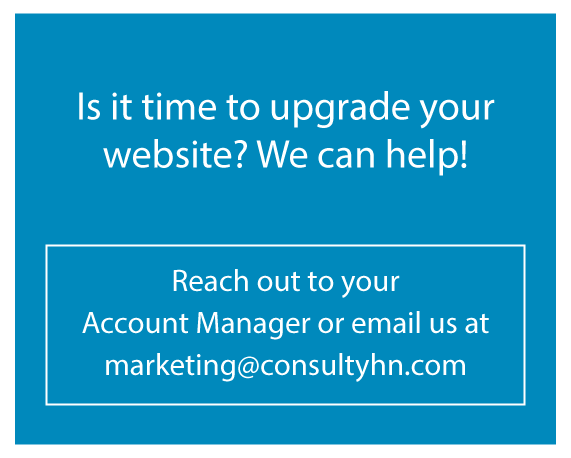 The Consult YHN Marketing team can provide website assessments if you feel it may be time to renew your . Need a recommendation for who should update your site or simply overwhelmed by the whole process? Consult YHN works with several digital marketing vendors so you can rest assured that the Consult YHN team will work with you and any vendor of your choice as a liaison during the entire process to make sure you can focus on what you’re best at — treating patients. There are a handful of excuses that people claim as valid reasons for not creating video. I don’t look good on camera or I don’t like my voice. I don’t have anything valuable to share. I cannot afford to buy video equipment. You don’t need to be a ‘boy band’ to create your own website informational video. You probably don’t like having your picture taken either. Some of us are not that comfortable in front of a camera, still or video. However, as a business owner and a Subject Matter Expert [SME] it isn’t a beauty contest, it’s an opportunity to inform and educate prospective patients. Alternatively, you can create screencast videos that do not require you to sit in front of the camera. These are presentations and computer-based videos from screen imagery, with a bit of voice-over added. Which brings us to… I don’t like my voice – Again, you may not relish the idea of hearing yourself speak on camera, but unless it truly is the sound of fingernails on a blackboard you need to objectively consider the goal before succumbing to this excuse. As an SME it’s more about your audience and what you can do for them and less about you, after all there are people who need your help. If this were true, you would not be a trained professional. So, sharing this information in spoken form via direct conversations MUST be part of your daily routine…No?Video is just another media to deliver the same information to a wider group of patients who you have not yet met. This is the essence of being an SME, who else could claim Subject Matter Expertise? Video marketing is not about popularity (for the most part), yet we all are aware of some folks who have raised the media to near cult status. For hearing healthcare professionals your reputation will grow as you continue to share relevant information for viewers to consume. So with that in mind do you really mean: I am not brave enough? Go ahead, be afraid. BUT, do it anyway. Your fears will subside as you immerse yourself in the topic and the process. If it helps, have a trusted individual sit just off-camera and direct your conversation toward them instead. Providing useful information to prospective patients makes the effort worthwhile. If you need to, use a cell phone or iPad. These devices will do just fine for creating a quick 1 or 2-minute video. The effort will get you started, then from there the value of video may become more obvious — and worthy of a modest investment. If you don’t want to capture video with any device, Microsoft PowerPoint provides a presentation platform that is more anonymous. You could also download a copy of OpenOffice, which offers presentation capabilities similar to PowerPoint without the expense of buying the software. This isnt a task that requires hours on end. Finding an extra 30 minutes to capture the message to video could easily provide more value than many of the tasks we all perform daily out of habit. Push that email sifting back 30 minutes and see for yourself. Another option: get up earlier in the morning to give yourself the gift of time. Waking up 30 minutes earlier to record a short video is reasonable; you may not even miss the extra half hour of sleep and your business may profit from the sacrifice. Having a video content strategy is great for building authority, branding your business and gaining loyal followers. Some people prefer to read while others favor content through video. Serve your audience the kind of content they prefer and you will find it much easier to attract a community that likes, trusts and buys from you. Once you have finally immersed yourself in the digital world with a strong web presence, the next step is to develop a strategy that will drive traffic to your website. Your website represents your practice online and the goal is to get customers from the web to your door. As with every marketing strategy – traditional or otherwise – in order to be successful, you will need to implement various tactics that will engage your target audience online. 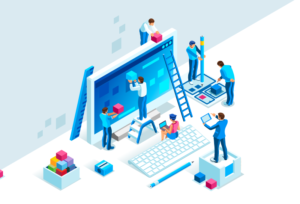 In the past few years, the scope of social media and its evolution of tactics have grown tremendously, revolutionizing the digital landscape through the ability to connect people via online communities. If done strategically and on a frequent basis, any business – including those in the hearing healthcare arena – can take advantage of social media to increase their online presence and foster customer interaction. Here are some tips on how to move the digital needle in the right direction. Focus on two social media platforms at one time, determining which ones are best for your business. The biggest challenge that many face is determining how to incorporate a social media strategy into their marketing plan. Research shows that for independent business owners it is more effective to only focus on two social media platforms at one time [e.g. Facebook, LinkedIn, Twitter] in order to build a strong online reputation. The best way to determine what platforms might work well for you is to check out what others are doing in the industry. By reviewing the competitions’ activity and monitoring relevant conversations, it is easier to determine what your audience is interested in. Once the platforms have been established, the next big step is developing strong content on a consistent basis that people will want to read and share with others, in order to generate viral content. Getting your branding or other marketing messages out there to be shared within and among online communities is key. Although there are various types of online content, the most effective are ones with a simplistic approach. These will engage your target audience and will help you to build credibility as a knowledgeable expert in the hearing healthcare field. Having a social media strategy is imperative: know your audience, post relevant messages frequently and monitor your social sites. It is also important to monitor the content once it is developed and posted. It is one thing to have a presence, but it is essential to be engaged. One way to achieve this is to monitor comments on your social media sites and then follow up with responses in a timely manner. Encouraging the audience to “like” or “share” the content is also a valid tactic, depending on which metrics you are measuring. In order to promote these social media platforms, it is important to talk to your patients and encourage online sharing and reviewing. This process can be implemented into your process, where applicable, to encourage staff to ask patients after they had their appointment or made a purchase to submit an online review about their [positive] experience. Developing a handout with instructions on how to review via Yelp or Google+ to remind customers to go online is one idea to boost participation. Reviews help establish business credibility online. Interested in learning about social media and other digital marketing tactics? Contact marketing at marketing@consultyhn.com.